View the all records from HumanResources.Employee table in AdventureWorks database. Show the person address from the AdventureWorks database. 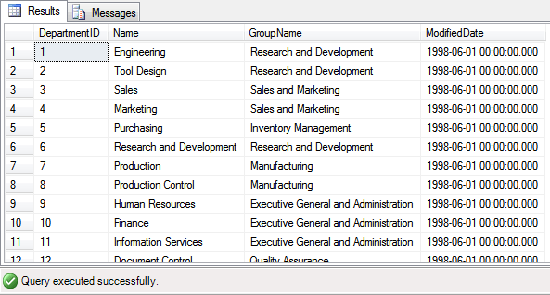 In this chapter you have learned how to view all records from any specific table of the database. In the next session you will learn about data types in sql.